Q: How to choose color of the item? SKU: 2027871650. 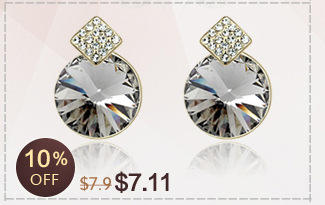 Category: Stud Earrings. 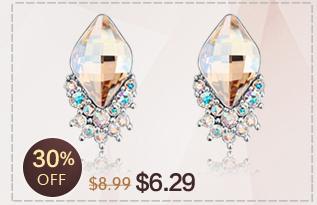 Tag: Crystal Earrings. A: When you place order. There is a text box below each item. You can write what color do you want in the text box. We will send the color as your request. Q: Are the jewelries Genuine "made with Swarovski Elements"
A: Yes. 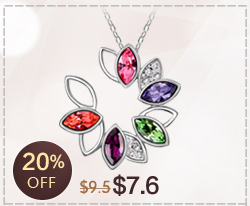 All the jewelries that claim "Swarovski Elements" in the item specifics are Genuine "Made with Swarovski Elements". Sometimes it may take up to 4-6 weeks due to strict custom Inspection. Our price does not include taxes,VAT,or other charges. To ensure you pay minimum tax, we will declare as gift or sample with low value. If products are not same as description or broken in the transit . We will resend or refund the money to you. For any reason, you are not satisfied with the items, we accept retunrs and exchanges within 7 days after you received your item and you need to pay for the return shipping cost. You can contact us by Trademanger or leaving us message on aliexpress or email us.We will respond to you within 24 hours, and within 36 hous on weekend. If you are satisfied with your purchase and our service, we will greatly appreciate it if you give us a five-star feedback and leave positive comments on your experience with us!